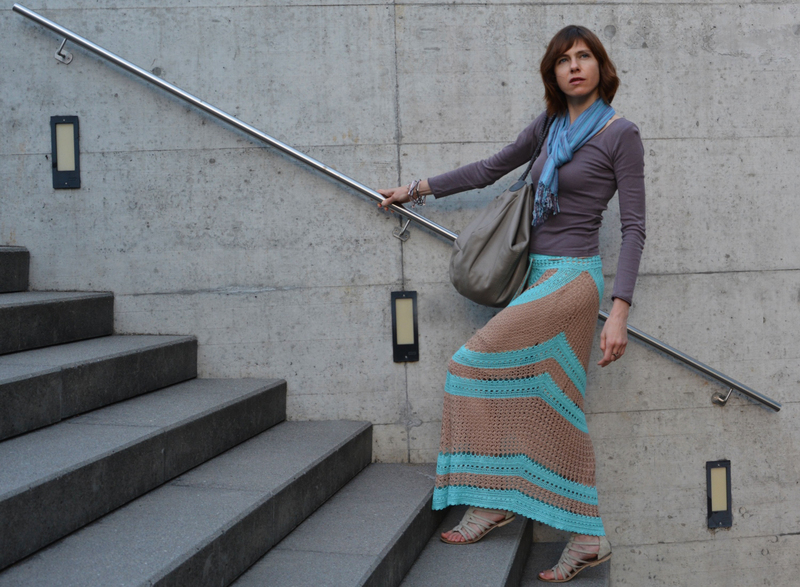 One of the latest maxi skirts was made with mixed bamboo/rayon/linen yarn. It was quite interesting to crochet because skirt was worked in one piece and two colours were combined in a composition of stripes and triangles. ► written explanation of all rows is included (in case you are not used to work with the crochet charts). and US (12-16), UK (16-20), Europe (44-48) with hips 106-114 cm (42-45’’). Use thinner yarn/smaller hook for smaller size. Skirt is made without seems. Increasing the size is possible by adding more motifs of light brown colour at the sides – follow the instructions for bigger size. The length of the skirt measured in front/back is 102 cm (40’’), measured along the sides – 90 cm (35.5’’). 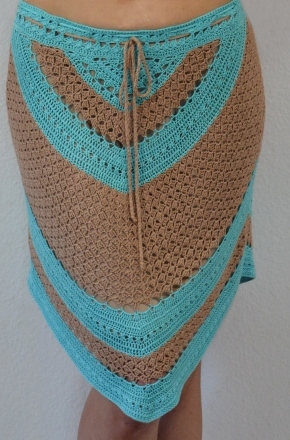 For a shorter skirt crochet fewer rows of light brown colour. – crochet tutorial (blurred for preview).